I was extremely upset to find drips coming from my swirled plastered living room ceiling. This was the second time this had occurred and not only is it expensive to repair it is difficult to find a plasterer today. The previous contractor came from Ottawa and it cost us over $1,000 in just for the ceiling, I knew I had to find a good plumber and get this fixed once and for all. I called Brothers Plumbing based on a recommendation from my neighbour and they assessed the problem, replaced the shower faucet and washers. as well as tightened the pipes for a reasonable price. I found them to be courteous, honest and would definitely use them again. The guys at Brothers were fast and were able to deliver on-time. While we paid a slight premium to have these guys come in and do the work, it was worth it. Consider shopping around a bit first, but in a pinch, Brothers is worth the call. 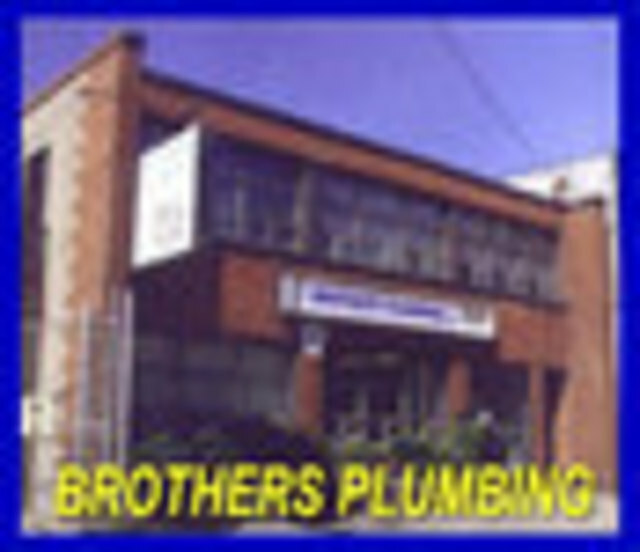 Brothers Plumbing did some work in relation to the new Water Meter system and their work was top notch and they were really friendly. Would use them again for plumbing issues! This is not the first job that they have done for us. They are thorough, professional, efficient and very good communicators. I rarely say this about service providers...they were a pleasure to deal with. Brothers responded promptly to our emergency call, the y were at our house within an hour.the immediate problem was resolved then and there. The source of our problem was discovered through the use of a camera and a long term solution was arrived by digging up our driveway and replacing a section of the sewer pipe. Our boiler broke on the coldest day of the year. We had service within a few hours and were set up with electric heaters so our pipes didn't burst. Our house is over 100 years old and we thought the boiler was new when we bought the house. Unfortunately it was about 27 years old and impossible to repair. Hating to have to purchase in a panic we were walked through the process and were advised to get a mid efficiency model. Having done research since we might have been able to get it cheaper but I am happy with the attention to service and knowledge we received. 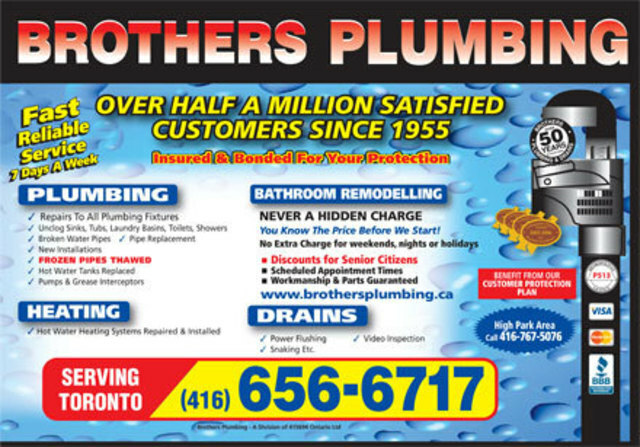 I would highly recommend Brothers Plumbing for homeowners with any plumbing or waterproofing service or instalation! I thought my main drain was the cause of my wet basement but with the expertise staff at Brothers Plumbing, I know otherwise. The woman who answered the phone at Brothers Plumbing was very professional and polite. She answered all my questions and got the job rolling while working around my schedule as I work late afternoons. This company went above and beyond most plumbing companies expectations. They are fast, friendly, reliable and most important "REASONABLE PRICING"!! I am very pleased with the workmanship and best of all, they stand behind thier work. I don't normaly write reviews but I feel others should know about this company offering quality work at affordable rates. I will definitely be calling the experts at Brothers Plumbing for any plumbing needs I have in the future ! I needed some minor plumbing done. Plumber didn't try to upsell me or use "scare tactics" to try and convince me it was a difficult, ie: expensive job. Not cheap, for a 20-minute job, but reasonable and trustworthy. Job was done well. I live in an old house with many plumbing problems. 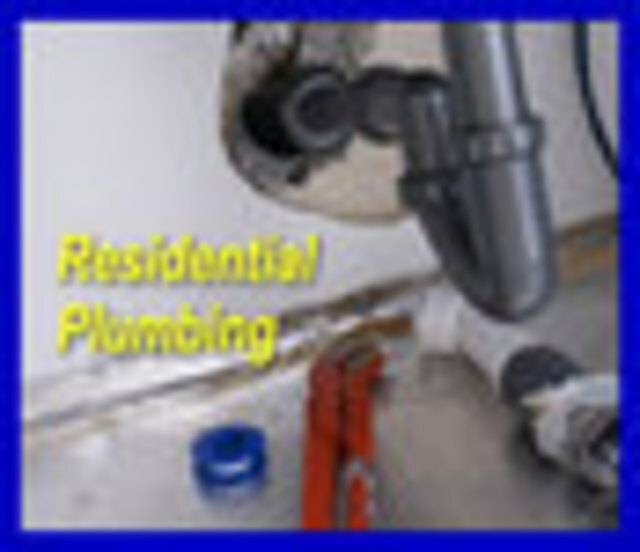 Brothers Plumbing provides outstanding professional service, on time and on budget. I HIGHLY recommend them. The latest job they did was flusing out of my clogged drains, but other jobs they have done include installation of new pipes, inside and outside. 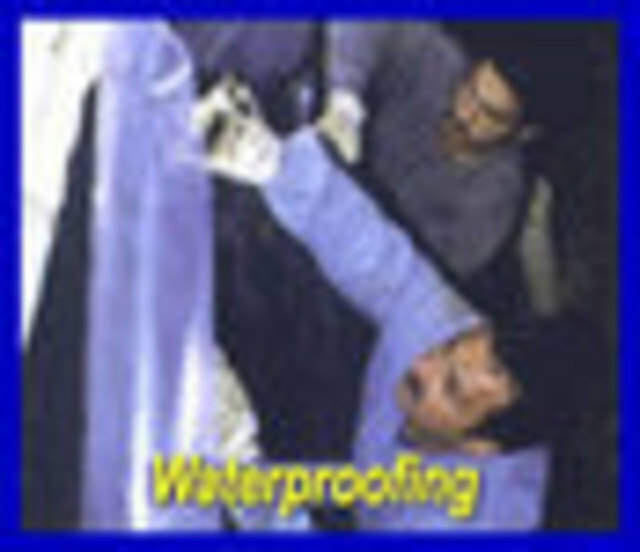 Their plumbers explain the job and work quickly and effeciently.